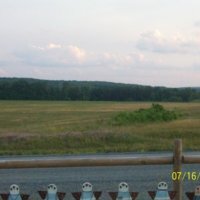 In July of 2009 I visited relatives in Shanksville, PA and found myself driving by the crash site of UA Flight 93 every day of my visit. With each passing, I grew more and more grateful for the heroes who were onboard the flight. 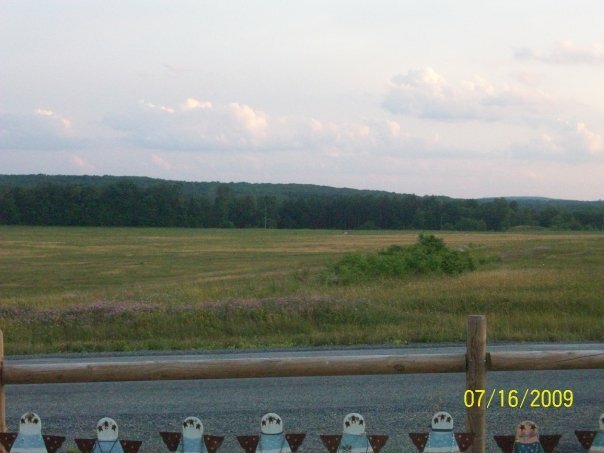 This photo was taken facing the field, an American flag marking the area of impact. Looking back at my camera are freedom angels, each representing a hero from the flight. I was beginning my freshmen year of high school when 9/11 occurred and I remember sitting in a classroom at school consoling a friend who had a relative inside one of the towers. That was not the job of a 14 year old on 9/10... I view life differently, value it more and realize the power of empathy. On 9/11/2002, my high school had a memorial for the victims of the attacks and I chose to honor a man named Edgar Emery. On each anniversary I wake up early, listen for his name to be read off during the ceremony and say a prayer. I will be continuing with my tradition this year. Kayla Richards, “[Untitled],” September 11 Digital Archive, accessed April 25, 2019, http://911digitalarchive.org/items/show/96778.